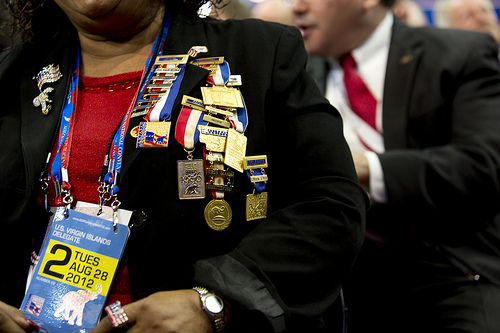 Delegate Lilliana de O'Neal from the U.S. Virgin Islands adorns all of the medals from past conventions she has attended. Photo by Mallory Benedict/PBS NewsHour. Licensed via Creative Commons. Every four years our country’s political parties hold a nominating convention to officially select the party’s nominee for President of the U.S. The 46th Democratic National Convention will be held September 3-6 in Charlotte, NC. The Republican National Convention 2012 is taking place in Tampa, FL this week. Attending one of these conventions is a big deal. It’s a political junkie’s Super Bowl. The process for becoming a delegate to the convention varies from state to state and potential delegates go through a long process to get there. The Tennessee GOP delegate selection process requires a filed petition with 100 signatures from eligible voters. The petition must include a statement of commitment to a presidential candidate and that presidential campaign must consent to that person’s candidacy. All that work just gets you on the ballot. I found one Hispanic name on the GOP ballot, Raul Lopez of Hermitage. Super Tuesday’s election results revealed 4,241 votes for Lopez who committed to Rick Perry as his presidential candidate. The Tennessean recently reported that TN’s GOP delegation is two-thirds male and overwhelmingly white, though it will include at least one African-American. Democrats interested in going to NC had to submit a couple of forms and vote in the Democratic Presidential Primary Election. The vote for delegates and alternates took place at the County Conventions and the Congressional Conventions in March. Democrats had more success in achieving Hispanic representation. Nataly Morales and Vilma Cueva were elected as at large delegates. Ivan Cerda was elected as a delegate of the 5th congressional district. 2 additional Latinos registered for a spot but did not get elected. The TNDP State Executive Committee said it exceeded its diversity goals for the Delegation by including fair representation for men, women, African Americans, Latinos, those with disabilities, and GLBT Tennesseans. The Delegation’s makeup is roughly similar to the Democratic voting population in Tennessee. As the importance of the Latino vote continues to rise in the United States, it is imperative that the voice and the values of the Hispanic community are represented every step of the way. Congratulations to the delegates and the hopefuls on both sides for going through the process of becoming a delegate. We need more folks like you. I write to inform you that Davidson County will not be renewing its MOA when ours expires October 8th. This decision was difficult because I believe in 287(g) and recognize the value in public safety that it has produced in Nashville. Due to the overwhelming success, our percentage of illegal aliens arrested for crimes is down 80 percent, and the fact that Secure Communities is live in Davidson County, I believe our resources are better served elsewhere in our agency. I want to commend you and your staff for working to improve the relationship between ICE and its local law enforcement partners. I cannot say enough about our FOD and of New Orleans', [sic] Phil Miller. He is fantastic and made our program what it is today. Even through his own personal health challenges, he was committed to ensuring the program remained viable. Cc: "Dean, Karl (Mayor)", "Johnson, Torry (D.A. )", "Anderson, Steve (MNPD)"
This morning, I sent a letter to the U.S. Director of Immigration Customs Enforcement John Morton to notify him the Davidson County Sheriff’s Office will not seek renew the 287(g) Delegation of Authority Program when our agreement expires October 8th. It was six years ago August 15th that I wrote a letter requesting to participate in 287(g) upon realizing the federal government was only screening foreign born arrestees charged with aggravated felonies. Five years prior, the percentage of foreign born individuals arrested nearly doubled in Nashville. Not only have we reversed that trend, but levels of foreign born arrests have dipped to their lowest point in 10 years. More than 10,000 illegal aliens have been processed for removal which has led to an 80 percent decline in the percentage of illegal aliens arrested in Davidson County. The numbers processed have decreased so dramatically that the workload of our 287(g) deputies has also significantly decreased by 70 percent. Make no mistake, 287(g) has been an overwhelming success and described as a model program; however, from day one of starting the program, I said if it stopped making a significant impact, we would move on. That day has come. The staff of 12 currently dedicated to immigration enforcement can be more effectively used elsewhere within the agency. In 2007, when we started participation in 287(g), the federal government did not respond to our county’s needs as far as removing criminal aliens from our community. I would not feel comfortable discontinuing the program if there was not a system in place that would continue to screen known illegal aliens booked into jail – but there is. Secure Communities, an Obama administration initiative, is implemented in Davidson County and integrated with our booking system. It prioritizes efforts to identify and remove criminal aliens and others who pose a potential threat to public safety. When someone is fingerprinted during the booking process, this system automatically checks an arrestee’s immigration status. This system requires no additional staff for the sheriff’s office and will make for a smooth transition. I know there are a lot of critics who will say the challenges and controversies on this program led to this decision. But, again, I have always said that if the program wasn’t making a significant impact in our community that we would move on. We have monitored it since we began participation and I even said in my June budget hearing that we would make a decision about the program prior to renewal of the MOA. Originally, we planned to make this announcement in a couple of weeks. But given the legal department’s recent filing of the charter amendment, I did not want 287(g)’s future to distract from this process as you consider the amendment. Thanks, as always, for your support over the years. Editor's note: the links under Secure Communities are mine, not the author's. 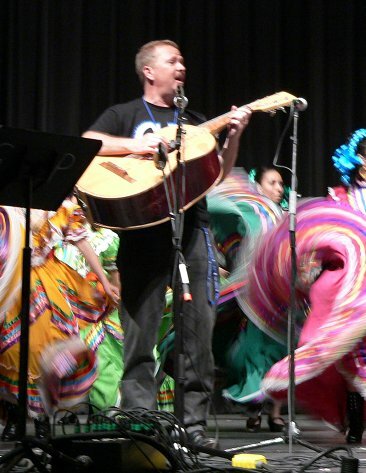 There is a Mariachi Director at Metropolitan Nashville Public Schools. His name is Alan Lambert, and he was hired to lead the city's public school mariachi program, which was launched in May. 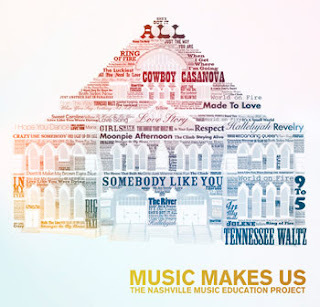 Starting exclusively at Wright Middle and Glencliff High Schools, the mariachi curriculum is part of the public/private Music Makes Us music education project, with local benefactors including Martha Ingram, Mike Curb, founder of Curb Records, the Gibson Foundation, the charitable division of Gibson Guitar Corp, and the Keith Urban Foundation. "Mariachi music is what gives Mexico and its people its identity. It is vibrant and passionate like no other music in the world. The young and old love it just the same and feel so proud to be able to express themselves in this great country that gives them the opportunity to learn the music in the schools," said Grammy-winning mariachi artist Jose Hernandez. "I have seen it change lives and look forward to seeing this genre blossom in the Metropolitan Nashville Public Schools under the leadership of Alan Lambert who is well-known for developing quality mariachi programs in Texas." Lambert brings his passion for music and education to Metro Schools from the Grand Prairie (Texas) Independent School District where he was the director of the district’s mariachi program for grades 6-12. Under his leadership, the district’s mariachi program expanded from two to 11 campuses and his students performed at venues ranging from school auditoriums and nursing homes to the Texas State Fair and Cowboy Stadium. An El Paso native, Lambert started and led the first All-Region Mariachi program in North Texas sanctioned by the Texas Music Education Association. His students’ musical excellence was noted in performances at the Mexican consulate and the Latino Cultural Center. Lambert served as a volunteer, board member and eventually a teacher for the non-profit Creative Planet School of the Arts in California before joining the faculty at Wilson High School in East Los Angeles as a special education teacher. Previously, he had a career in marketing, fundraising and operations in the United States and Germany working with AT&T and the New York and Brooklyn Philharmonics. Lambert received a bachelor’s degree in music from Texas Tech University and a master’s degree in music from New Mexico State University. He holds a music education certificate from California State University and an educational leadership and principal certificate from the University of Texas. Music Makes Us is under the overall direction of Jay Steele, associate superintendent of high schools. The staff also includes Laurie Schell, director; Dr. Nola Jones, music coordinator; and long-time Metro Schools educator Carol Crittenden. 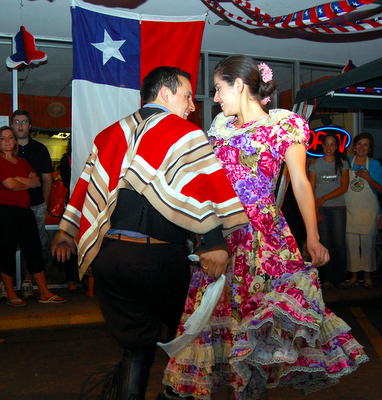 Photo of Chilean cueca dance by Eduardo Castro. Licensed via Creative Commons. 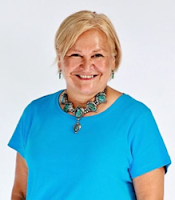 Chile is the feature country of this weekend's Passport to the World Speaker Series at O’More College of Design Pavilion, 423 South Margin Street. The event begins Sunday, August 5, at 2:00 p.m.
Franklin resident Melo-Romie was born in San Javier, Linares, in the center part of Chile. 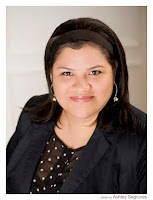 She is an entrepreneur and also part of the multicultural team of Vanderbilt Kennedy Center. Vergara was born in Temuco, in southern Chile. She currently works for the FSSD as a pre-K social worker. Langlois was born in Puerto Montt in southern Chile; she currently works as Director of Outreach Programs for First Steps Inc.
Passport to the World is presented by Sister Cities of Franklin and Williamson County Tennessee, Inc., whose mission is to build global relationships, to share cultural and educational experiences and to inspire economic growth within our community. Co- sponsors for this virtual travel experience are the Williamson County Public Library and the Townsend Institute for Global Competency at O’More College of Design.